Unlike most RIT students, Paul Kayser ’93 (mechanical engineering) first set foot on RIT’s campus not as a prospective student or freshman, but as a toddler in 1973. That was the year his father accepted a position as a photography professor, laying the foundation for Kayser’s RIT connections to grow for years to come. A couple months into his freshman year, Kayser further cemented his RIT roots when he met his future wife, Shelly Coddington-Kayser ’91, during a fire drill. After graduating with a degree in mechanical engineering, Kayser left RIT and embarked on his career, becoming a leader in the packaging industry. In 2005, he founded Nypro Packaging, growing the company to become a global provider of manufactured precision plastic products. 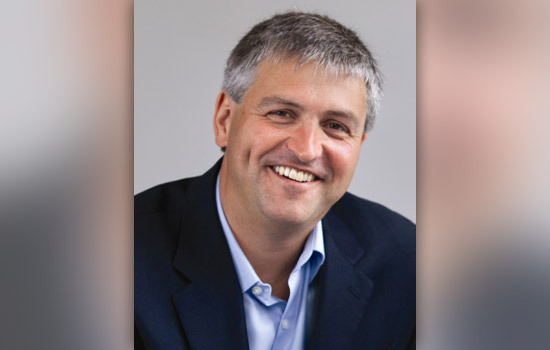 He then left Nypro in 2016, when he was named president and chief executive officer of Pretium Packaging, one of North America’s leading manufacturers of plastic containers and closures. RIT was never far from his mind, though. “RIT taught me how to solve problems. How to take assumptions, build mental models, set objectives and model your way to a solution. I think those are absolutely invaluable skills that I apply to this very day,” he said. Kayser has continued his RIT connection in more concrete ways, as well. He has created RIT co-op programs and recently began working with RIT’s packaging science department in an effort to bring more innovative products to Pretium. Kayser will be honored as the Kate Gleason College of Engineering 2017 Distinguished Alumnus on Oct. 13 at the Presidents’ Alumni Ball. The Distinguished Alumni Award is presented to a certified alumnus/a who has performed with distinction at the highest levels of his or her chosen profession; or who has contributed significantly to the advancement and leadership of noteworthy civic, philanthropic, or service organizations over the course of many years. Those honored have brought distinction to their colleges and RIT through their professional, community and/or philanthropic achievements.